There is no single truth in love. Each treads their own path.Which should take precedence – passion or duty? How do we choose? And who gets to judge? These are the eternal questions, remorselessly thrust upon us by life. Anna Karenina made her choice, leaving her son Sergei to grow up struggling to understand why his mother took such a tragic and terrible path, and Count Vronsky haunted by the memory of the woman for whose death he still blames himself 30 years later. 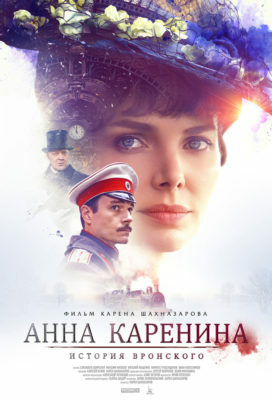 In 1904, in the aftermath of one of the battles of the Russian–Japanese war, Sergei Karenin and Alexey Vronsky find themselves thrown together in a remote Manchurian village, where fate offers them a chance to return to the events long past and, finally, to find the answers both have long been seeking.